Do you plan to start a catering business? Starting your own catering business is a great decision as it is one of the most lucrative business ideas with a lot of potential to earn great profits. One of the most important factors that you have to consider while thinking about this business is the catering software that can be quite beneficial for your business. Besides having an Excel sheet, you will also need the software tools for your business. This is because of some features and advantages that some softwares include. Below are the top five features that catering business owners look for in catering software. the software will help you to organize all the incoming orders and prioritize the outgoing supply order perfectly without mixing these two. Another important feature is the invoicing and billing. You need to make sure that the software provides you with the payment details for each and every order, calculating the items including the taxes. This feature also helps in making the invoice. You will also get to know how to log the invoices properly and other payments on the system. Of course, this is one of the most important features that you will need if you are running a catering business. It will not function without this feature. With the help of the booking management feature, you will be able to schedule and manage all the bookings efficiently. You will know what orders you have to complete every day with this feature. This will help you to keep a track on every booking without missing any chances. Most of the latest software options have the cloud and mobile accessibility because they are continuously providing us the access to all the data that we need through the internet. No matter where you are, you can still access the information or catering details that you need to cover with the help of this amazing feature. This is one of the most desirable functions for catering software. 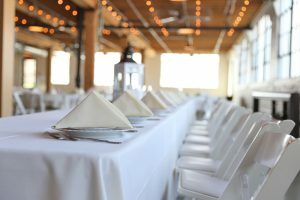 It is important to map out the venue and figure out the best areas where you can provide catering services. This is an important tool for scheduling an event so that you exactly know who is using the venue, how and when. These are some of the main features of catering software that you should be looking for when you are thinking of purchasing software. If you plan to start a catering business or you already own one, then you need to know about these. When you are installing any software for your business in the system, make sure that the software has all these essential features. Without these features, it is quite hard to manage a catering service or business efficiently.